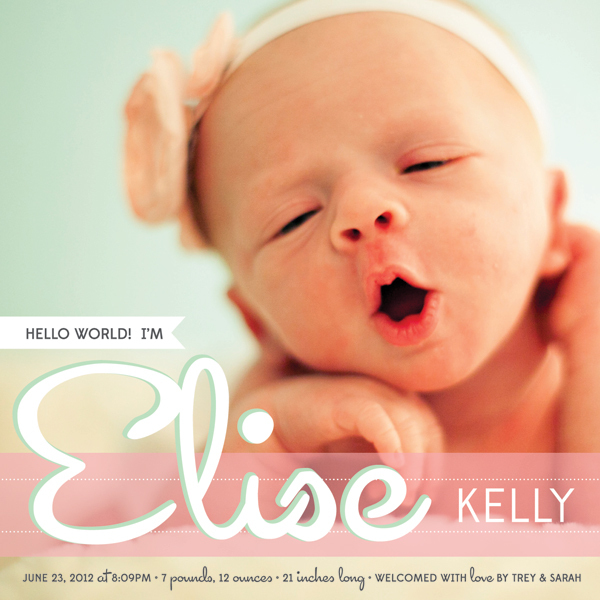 A Lovely Little Life: Officially Announcing Elise Kelly! The pics are from her newborn shoot from the fabulous Hannah Elaine and design is from my always fabulous go-to lady for graphic design, my dear friend Jessica at Doubtless Designs (etsy shop here)! I am absolutely in looooooooooove with how they turned out! I mean perfect! But seriously, I sent Jessica a few inspiration announcements (okay, a lot...I couldn't narrow it down!) and a basic idea of my idea and she came back with this! She is good, damn good! Thank you Jessica! Next up....her baptism invites! You will never be rid of me!! HA! And while I am revealing pics of my Little Miss I thought I would share our little photo shoot we did for Papa's birthday.....how big is she compared to those announcements?!?! Look at me, 4 posts in 4 days!! And tomorrow's post....not about baby or parenting....can you believe it?!?! HA! OMG she is simply precious!!!!!! Love that little face!!!!! They turned out SO cute! Elise is adorable! These are ADORABLE!!!!! Love her "party" outfit!! Those socks kill me!! what a cutie! I Love your announcement! that last pic is the cutest thing ever! this is the cutest annoucement!! New follower. Loved reading about the arrival of your little girl. I have one coming in 10 weeks myself. Some of your tips have been great! Started my blog this weekend and excited to meet some fellow mommy bloggers. Congrats she is precious! 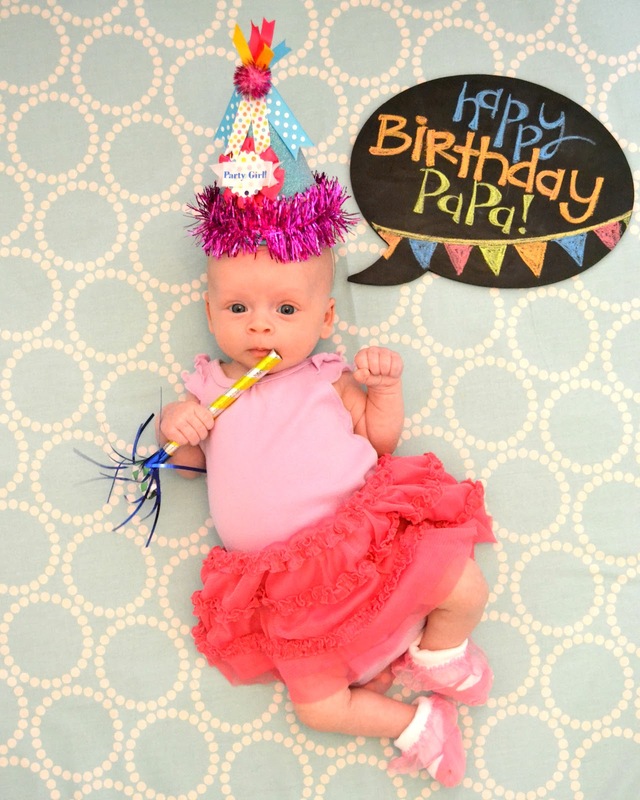 Baby Girl is 2 Months Old!! Moms on Call - aka "The Baby Whisperer!" The moment I realized I was "that mom"